Growing up in a church that celebrates the Church calendar, starting with Advent, is a blessing. It provides a framework for understanding the seasons, not only of the year but of life. And, you need to start young to train children in the “way they will go.” Consider the story of one little guy I heard about… he’s learning still what this Advent season is all about. 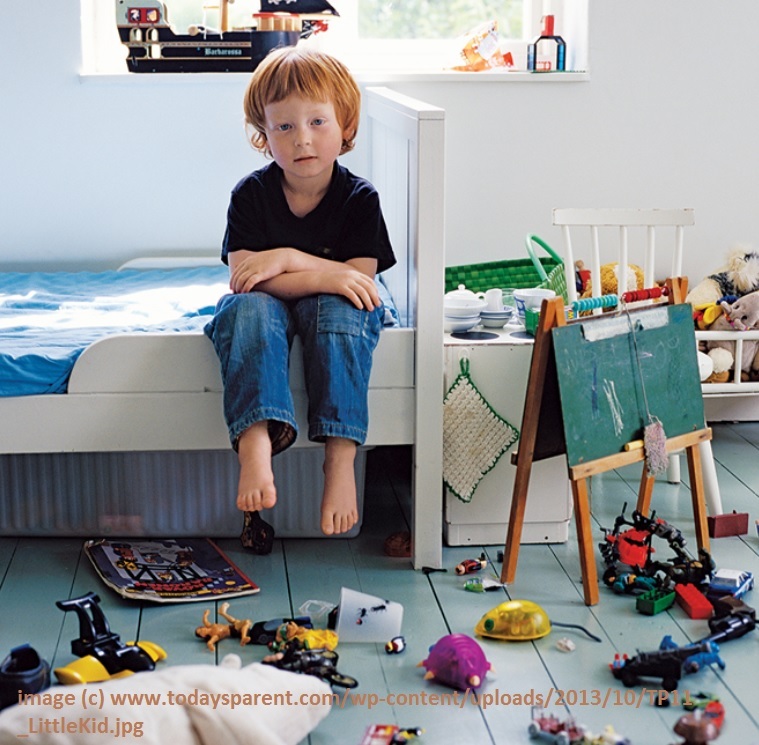 It was a Saturday morning, and Johnny was supposed to clean his room. About every 10 minutes his mother would come in and remind him of this, because Johnny would start well, but then get distracted playing with the toys he was supposedly putting away. Finally, mommy got serious. Kneeled down by Johnny to get eye to eye. Well, Johnny uttered a marvelous prayer, and very heartfelt. Johnny’s mommy felt this was one of her finer parenting moments and was glad she kept her cool and tried to reinforce their family’s Christian values. When they said, “Amen,” together, she stood up. A few seconds passed and Johnny stayed sitting on the edge of his bed, hands folded. Well, as we consider another “Johnny”… John the Baptist, we’d do best to resemble the one who both prepared the way and pointed to Christ, not the naughty little boy! John the Baptist sums up what Advent is meant to be—preparing and pointing—not passively waiting for Jesus to come in and clean up all our messes. John was sent to prepare the way. He was the messenger alluded to in Isaiah’s prophesy, the one who was sent to prepare Israel for Jesus, the Messiah. John’s mission and ministry served to point to Christ, not himself. John was a prophetic voice that drew people out to the wilderness to hear his message, but that message pointed to another that was coming… Jesus. Let’s look at those two functions of John’s ministry and see how they connect to our experience: preparing the way, and pointing to Christ. In the Bible story today, we hear about John, Jesus’ cousin and the wild prophet of the Judean wilderness. He called out to the people, quoting words from another prophet of old, Isaiah, saying, “Prepare the way for the Lord!” He asked the people to change their hearts and get ready for Jesus. No. He didn’t tell them to roll out a red carpet, but John did ask the people to do something even more important. He told them to get their hearts ready to receive Jesus. He wanted them to make sure that when Jesus started preaching, teaching and healing people that they would recognize that he was God’s only son, sent to save them from their sin. So, in light of this Advent season, preparing might start with getting the attitude of our hearts and minds right. It’s hard work to try and clear out the cluttered distractions in our minds to make room for Jesus, our special guest. It’s nice to know that even if we cannot adequately quiet all the noise, and even if our preparations are less than the “red carpet treatment,” Jesus still comes to us, abounding in love, forgiveness, and understanding. So, we’ve looked at preparing the way… Now, let’s take a look at John’s other purpose: pointing to Jesus. I think that in order to point to Jesus, it certainly helps if we have done something within ourselves to prepare for his coming, to make room for his presence. The relationship between preparing and pointing is a little like calibrating a special instrument, fixing a position with a Global Positioning Satellite, for instance. Once that is done, my “smart phone” can tell me where I am and how to get to where I am going. But, what happens if my initial setting is off… if my “smart phone” can’t find my location… can’t connect to the satellite up above? Well, then it has a hard time pointing me to anything helpful. It’s as lost as I am. John the Baptist’s purpose in ministry, through all his work of preaching, teaching, telling, and baptizing, was to point others to Jesus. The reason he was so effective in pointing to Jesus was that he was clearly living out the conviction of his message. Repent, John said. Repent and prepare for Jesus. To repent means to turn from something… presumably to something else. It isn’t enough to simply turn from one category of sin simply to replace it with some other category of sin. That would be foolish—thinking we have repented when turning from one sin to another—but it’s a trap we can sometimes fall into. The Pharisees had made this error. It wasn’t that their acts of righteousness weren’t positive… tithing, giving to the Temple, praying. It was that they had mistaken these actions, meant to turn us from the sins of selfishness, worldliness, and self-centeredness, as an end in themselves. They stopped short of the destination, and rather than making it all the way to a heart-connection with their Creator, they exchanged a humble walk with God for a prideful parade in front of others. Rather than pointing to Christ, their lives were lived out in order to point to themselves. That makes sense, doesn’t it? If we mistake the actions that take us to the place we want to arrive at for the destination itself, we aren’t ever going to make it. So, as we journey closer to our Christmas celebrations, let us not lose our bearings. Let us prepare our hearts so that God may use us to point others to him. God, thank you. Thank you for being the One we were waiting for. Lots of important people get special treatment in our lives… we roll out the red carpet or maybe just give them a lot of our time and attention. But, of all the people we could focus our love and devotion towards, no one is more worthy than you! Help us open our hearts and minds to all you have for us this Advent season. Bless our efforts to extend the love you have shown us to others. In Jesus’ name, Amen.